It happened again, just last week. We’re on a teleconference call. Charlie and I are the buyers. We’re joined by a salesperson. A couple of our team members beep in and the call officially begins. Sales Guy leads brief introductions for all attending. Good. We exchange a few pleasantries. Nice. Then Sales Guy does the thing I hate most. Do you know why I hate this so much? Sales Guy had already been briefed on our needs by a team member, at least at a high level. We now have zero indication that he had been listening. From the get-go, the onus is on us—the ones being sold to—to do the heavy lifting. It’s low risk for Sales Guy. There’s no chance he’ll say something wrong if he gets us to do the talking. It appears as though the focus is on us, the buyers, which would be good if it were true. It just doesn’t feel like the focus is on us. See the difference? With my suggested words, he shows he’s done some homework and that he’s been paying attention. He takes the risk of getting it wrong. And then he gets us talking to confirm, and amend if necessary. In short, he’s doing the heavy lifting. I ranted about this approximately 60 tips ago. I’m ranting again because it’s such a simple yet important lesson for anyone, not just Sales Guys: If you want to be influential, pay close attention to how you’re starting your conversations, whether it’s your first with a new client or your 100th with a long-standing one. This week, pay close attention to how you begin your client conversations: sales calls, weekly status checks, exploratory conversations, and more. 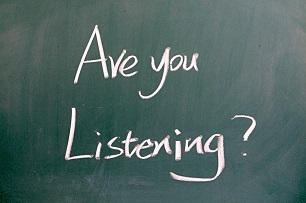 Find specific ways to you prove you’ve been listening. 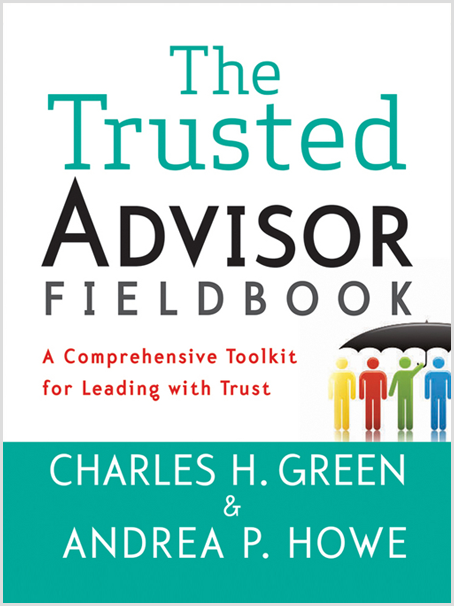 Read more about true customer focus, from our friends at Trusted Advisor Associates, or refresh on the four trust principles in Chapter 4 of The Trusted Advisor Fieldbook.